The Scottish Environment Protection Agency (Sepa) has come under angry attack from the fish farming industry over planned new controls on a toxic pesticide – despite having watered down its plans. The Scottish Salmon Producers’ Organisation (SSPO) has accused Sepa of “chaotic regulation” that will damage business. It has lodged a formal complaint against the government watchdog. But documents just published by Sepa show that it has dropped an effective ban on the pesticide over the last two months, opting instead for limited restrictions. It previously abandoned a plan for a ban in August 2016 after pressure from SSPO. Growing controversy over the pesticide, emamectin, has prompted a Holyrood committee to launch a major investigation into the fish farming industry. Marketed as Slice, it is used to kill the sea lice that plague caged salmon, but has been blamed for causing widespread damage to wildlife in sea lochs. Last week Sepa published new plans for regulating the future use of emamectin. An interim position statement dated May 2017 proposed a dramatic tightening of the rules governing the pesticide “to the extent that practically useable quantities are unlikely to be able to be authorised”. But this was replaced by a revised statement in June with much weaker interim standards. Emamectin use in a small minority of “susceptible” protected areas would be restricted, but for the majority of fish farmers there would be no change. In the June statement, Sepa also said that it would make recommendations to the Scottish Government. Ministers would then take the final decision and issue a “direction” to Sepa. Sepa published a scientific report suggesting tighter environmental quality standards for emamectin in the future. But its whole process has been condemned as “most bizarre” by SSPO. “No business can operate successfully in this sort of chaos,” said the industry group’s chief executive, Scott Landsburgh. SSPO has filed a formal complaint, accusing Sepa of trying to “delegitimise” emamectin. It complains Sepa failed to consult the industry on the scientific report before it was published, and has commissioned its own research. Landsburgh criticised the report for basing its research on impacts suffered by a non-native species in freshwater, though salmon mature in seawater. “If this sort of chaotic regulation starts then we can expect to lose our market share, which will undoubtedly have a negative impact on investment, loss of jobs and economic benefit to Scotland,” he said. However his attack was dismissed as “petulant and frankly ridiculous” by conservationists. “SSPO has a track record of these strange outbursts,” said Guy Linley-Adams, lawyer for the wild fish group, Salmon and Trout Conservation Scotland. Linley-Adams praised Sepa for “standing up as best it can” for the Scottish marine environment. But he was very concerned that it had watered down its interim controls on emamectin over the last two months. “Sepa has again been forced to bow to Scottish Government and industry pressure to weaken its plans for controlling emamectin and the damage that it is causing to the marine environment,” he said. The Scottish Government dismissed claims it had put pressure on Sepa as “unfounded”. It stressed that it took the responsibility to protect the marine environment very seriously. “Aquaculture must be sustainable and industry leaders have acknowledged that ensuring fish health and limiting environmental impacts must be a top priority. Any proposals to regulate the use of chemicals are a matter for Sepa,” said a government spokesperson. Richard Luxmoore, senior nature conservation adviser for the National Trust for Scotland, said it was unclear why Sepa had altered its interim position on emamectin. “The environmental limits that Sepa has proposed would effectively end its use in open cage fish farms and bring widespread benefits to marine life,” he argued. Sepa confirmed that it had weakened its interim controls because it decided they would be “disproportionate”. The complaint from SSPO would be investigated, and Sepa would continue to work with industry and others to protect the environment and support a sustainable aquaculture industry. Sepa’s chief executive, Terry A’Hearn, insisted that all the decisions on regulating emamectin had been made by Sepa, and Sepa alone. “Sepa engages regularly with the Scottish Government, the industry, non-governmental organisations and local communities, as you would expect of a responsible and accountable regulator,” he said. 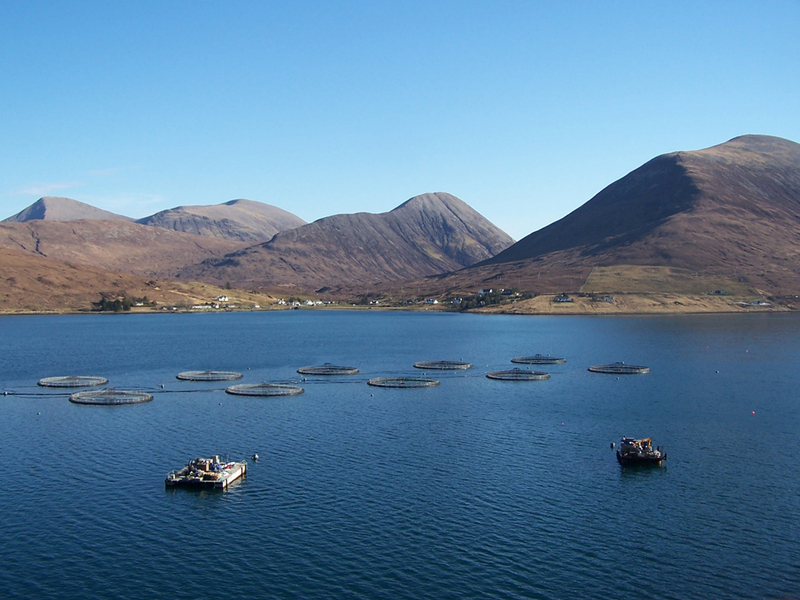 The Scottish Parliament’s Rural Affairs and Connectivity Committee has agreed to hold an inquiry into aquaculture in early 2018. “As part of this work, we will seek to include consideration of the impact of sea lice from salmon farms in Scotland on wild salmonids,” said the committee’s convener, Conservative MSP Edward Mountain. The inquiry has been warmly welcomed by conservationists. The Scottish Government, SSPO and Sepa have all promised to contribute. 28 February 2017: We reported that at least 45 lochs around Scotland’s coast have been contaminated by toxic pesticides used by fish farmers to kill sea lice. The main culprit was emamectin. 6 March 2017: We reported that the Scottish Environment Protection Agency (Sepa) suppressed a critical report on pollution from emamectin after private lobbying by the fish farming industry. 21 March 2017: We reported that Sepa secretly ditched a plan in August 2016 to ban emamectin after complaints from the fish farming industry. 5 June 2017: We reported that the Scottish Government allowed Merck, the US drug company that makes emamectin, to secretly rubbish a scientific study blaming the pesticide for killing wildlife in sea lochs. 19 June 2017: We reported that the Scottish Government was under fire for intervening to block Sepa’s proposed ban on emamectin, prompting calls for an investigation by MSPs. A version of this article was published in the Sunday Herald on 2 July 2017. Photo thanks to Richard Dorrell, CC BY-SA 2.0, via Wikimedia Commons.